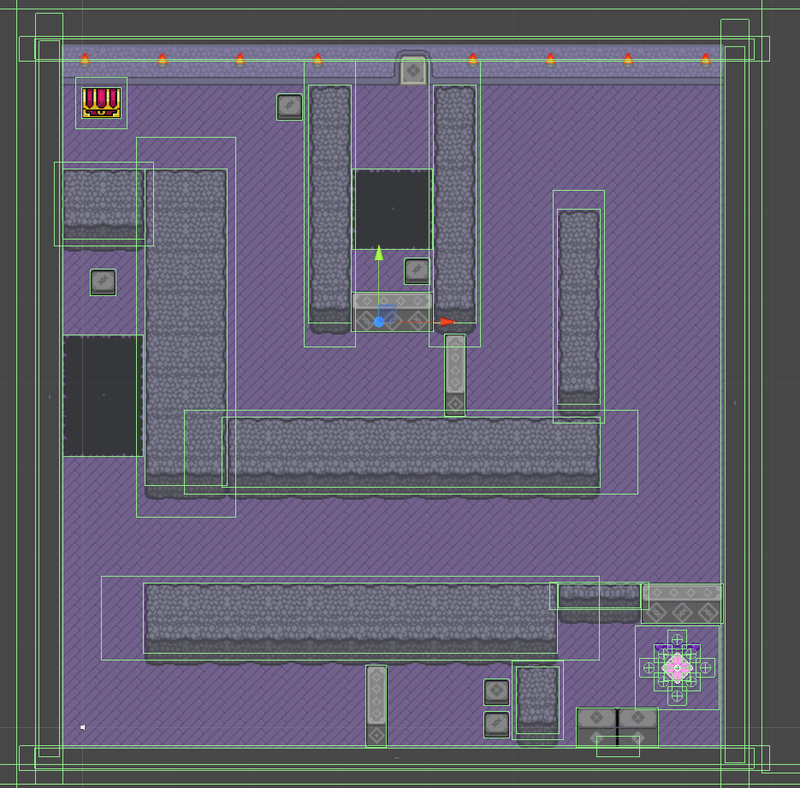 I've been placing invisible walls, doors, switches, and chests in dungeons maps this week. I also put up some animated torches in rooms to liven things up. I'm still not done with all these yet, but at least I have them all done for the forest, caves, and building interiors. The dungeons are taking a while and this week has been filled with distractions. I keep finding ways to be more efficient with this stuff so it'll be done sometime this weekend, even if I have to skip sleep one night. I'm just sick of looking at this task on my dev list. I really thought it'd take a few days.